Almost 28,000 OLweb readers voted on Twitter for the four OLweb Trophies, with OL assistant coach Gérald Baticle announcing the winners on Wednesday night on the stage of OLTV show Culture Club. A defender voted as the club's player of the season? That doesn't happen too often. Which is to say that the performance this season from Samuel Umtiti, who got 40% of the 7,495 votes, was awesome and confirmed that 22-year-old leftie is well and truly the main man in defence for OL. "I was convinced it would be one of our forwards. That's often the case in a vote like this. But this result shows that our fans are connoisseurs. He held the team together and he stepped up to the challenge. It's a connoisseur's vote because it's rare to honour defenders. It's great that he was chosen. He deserves it." This one wasn't even close, with Rachid Ghezzal earning 60% of the 6,807 votes. With ten goals and seven assists in all competition this season, the OL left-footer burst onto the scene, especially in the second half of the season. The move to the Parc OL in Décines, just a stone's throw from where Ghezzal grew up, evidently gave the youngster wings. "His game is all about technique, with a very liberal dose of finesse. He's like that in life too. He has a very particular sense of humour. I've been coaching him for years now. I made him work on his left foot. We get along pretty well… One day I asked him to switch to the other side and then to cut in and shoot with his left. We worked on it often and it paid off. He has progressed quickly and grown in confidence." I'm happy. I'm proud to come out on top in the voting. It's always great to be valued by the fans. It's a great personal reward but also one for the team. Everyone did their bit. It's great. After racing neck and neck against Monaco, it was OLs prestigious win over PSG that paved the way for the hammering that OL gave the principality club to clinch second place in Week 37. OL's performance against the champions was quite simply huge, Bruno Genesio's men handing PSG their first defeat of the season on French soil. The crunch clash won 43% of the 6,791 votes. "It was a massive performance. It was our best match ever against Paris. We took it to the next level and confirmed what we had previously shown, notably against them in cup matches." That match was a watershed moment in many respects. We really enjoyed it and it was also emotional. The stadium was on fire. This match against PSG has a particular flavour. We had injuries and suspensions. We surprised quite a lot of people. We played an almost perfect match. It was impressive. We put everything into that match. 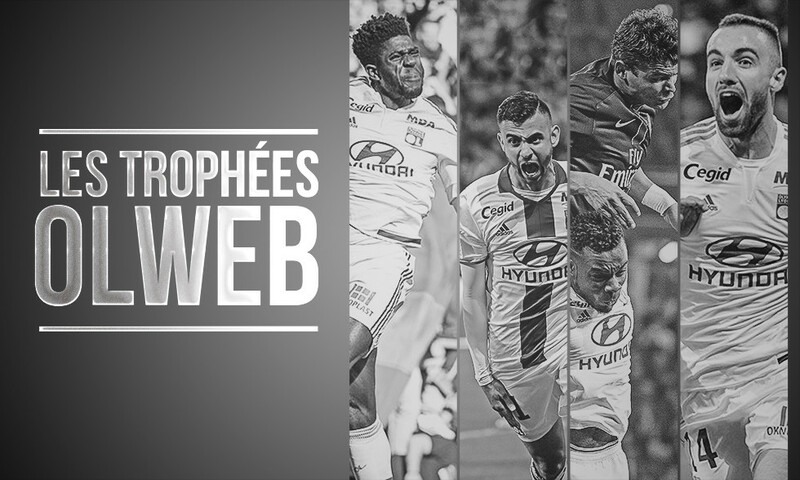 Votez pour le match de la saison 15/16 ! There was an embarrassment of riches in this category, but in the end it was Sergi Darder's goal in the huge win over PSG that won over the majority of our readers. The Spanish midfielder's sublime strike in the midst of a befuddled PSG defence claimed 74% of the 5,911 votes. "Sergi is the symbol of our comeback. He was in a tough spot at the beginning of the season but then his talent shone through. This is a magnificent goal. There is talent, technique, lucidity, intelligence and vision. That's everything. He improvised in accordance with the situation but he did everything right and made the right choices." I'm very happy. It was an important goal in the win over PSG. Thanks to the supporters for voting for me. Votez pour le but de la saison 15/16 !